ApnaCourse is a Approved Exam Preparation Provider for Financial Risk Manager (FRM) 2019 Certification Course. 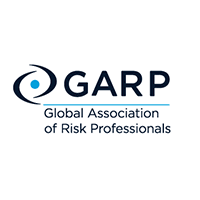 Global Association of Risk Professionals (GARP) is a not-for-profit organization and the only globally recognized membership association for risk managers situated in USA. GARP enables the risk community to make better informed risk decisions through “creating a culture of risk awareness. The FRM® designation is recognized as the benchmark for financial risk professionals and has been adopted by companies to ensure their risk management employees are well versed in the latest financial risk concepts. Becoming an FRM® boosts your credibility and respect from employers, peers, and clients and maximizes your personal and professional opportunities within the world of finance.